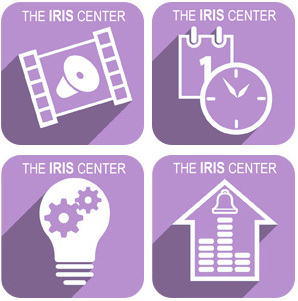 The IRIS Center is a national center dedicated to improving education outcomes for all children, especially those with disabilities birth through age twenty-one, through the use of effective evidence-based practices and interventions. It has recently released two new resources. 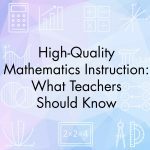 The newly revised and expanded the High-Quality Mathematics Instruction: What Teachers Should Know Module from the IRIS Center describes the components of high-quality mathematics instruction, including a standards-based curriculum and evidence-based practices. It also highlights a number of evidence-based practices—for example, explicit, systematic instruction; metacognitive strategies; visual representations; and schema instruction—as well as other classroom practices that teachers can use to teach mathematics. Recognized by a growing number of state and district professional development systems for recertification and continuing education credits, micro-credentials allow teachers to master discrete skills at their own pace and in their own classrooms. Every micro-credential earned comes with a digital badge that can be posted on professional social network sites. The IRIS Center now offers micro-credentials in partnership with Digital Promise. 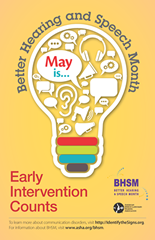 This new IRIS Center Module, second in a two-part series, highlights strategies that have been shown to be effective in teaching appropriate behaviors and skills and decreasing inappropriate behaviors with children and youth with autism spectrum disorder (ASD). It next explores several strategies that are particularly effective with young children, elementary and middle school students, and high school students (est. completion time: 3 hours). 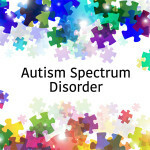 This Module provides information on the early signs of autism spectrum disorder (ASD), as well as an overview of the difference between a medical diagnosis and an educational determination of ASD. Resources include notes on instructional considerations for teachers who have children and students with ASD in their classrooms, as well as things to keep in mind when working with the families of those children and students (est. completion time: 2 hours). 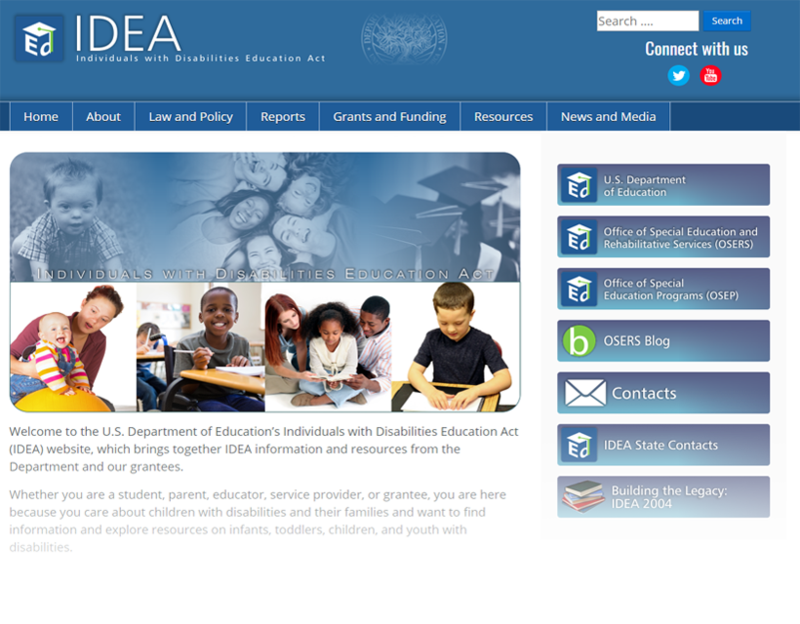 Funded by the U.S. Department of Education’s Office of Special Education Programs (OSEP), the IRIS Center is headquartered at Vanderbilt University in Nashville, Tennessee, and Claremont Graduate University in Claremont, California. Its primary objective is to create resources about evidence-based practices for use in preservice preparation and professional development programs. IRIS then disseminates and offers trainings on those resources. All students rely on lessons learned in the classroom to prepare for their transition to adulthood, whether that means entering the workforce or continuing their studies in college or at a vocational school. 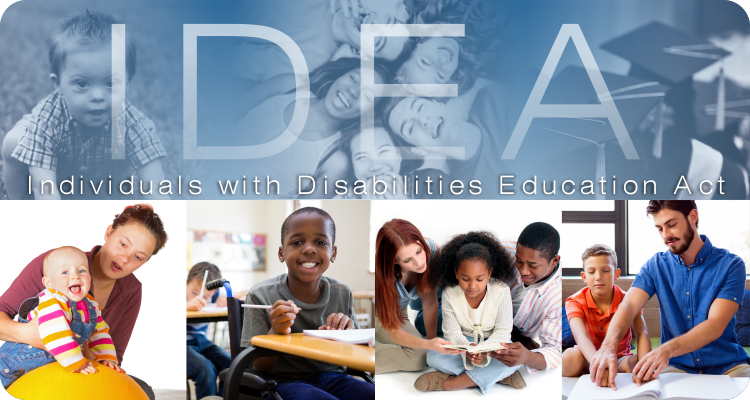 Thanks to the Individuals with Disabilities Education Act (IDEA) and Section 504 of the Rehabilitation Act, children with disabilities today have greater access to quality education and accommodations to help them learn and succeed in and out of school. Contributing to this success is Disability.gov, the federal government website for information on disability programs and services across the nation. Through the site, students with disabilities, parents, guardians, educators and others are connected to valuable resources on education, such as accommodations and supports in the classroom, individualized education programs (IEPs) and teaching strategies. Furthermore, since Disability.gov is a directory of resources, visitors can find information on other topics like benefits, employment, health, housing and technology, to name just a few. All of the site’s resources are carefully chosen from the federal government, state and local government agencies and nonprofit organizations to make sure visitors get information that is both helpful and easy to understand. Disability.gov also provides 14 guides on popular topics, which allow visitors to view as much or as little information on a given subject as they choose. For example, high school students with disabilities and families may want to read Disability.gov’s Guide to Student Transition Planning. The transition process prepares students with disabilities for life after high school graduation. Through this guide, you can learn about options after high school, including planning for college or a technical school, vocational rehabilitation and job training programs and laws that protect students’ educational rights. For students who are currently attending or heading to college, financial aid is just as important as an acceptance letter. Disability.gov’s Guide to Student Financial Aid provides information on scholarships, grants, federal work-study programs and student loans. Visitors can also find out about state financial aid programs and how to apply for federal financial aid. Once they are ready to graduate, Disability.gov’s Guide to Employment has information on conducting a job search, applying for federal employment and getting help writing a resume and preparing for interviews. These are just a few of the many ways Disability.gov enables quick and easy access to helpful information and resources. You may also want to visit the “Youth” section of the U.S. Department of Labor’s Office of Disability Employment Policy’s website for five Guideposts for Success – What All Youth Need to Successfully Transition into Adulthood. We invite you to share this information with family and friends, and visit Disability.gov to get started. You can also subscribe to email alerts, read the Disability Connection newsletter or follow the site on Facebook, Twitter and Disability.Blog. 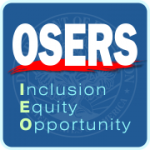 OSERS is glad to highlight Disability.gov and all of the great work they do! 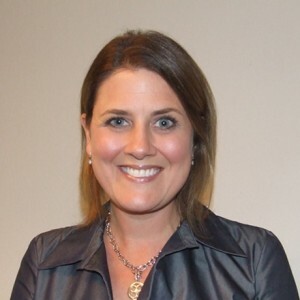 Check out a recent blog by an OSERS grantee, Benetech, that was featured on Disability.gov!